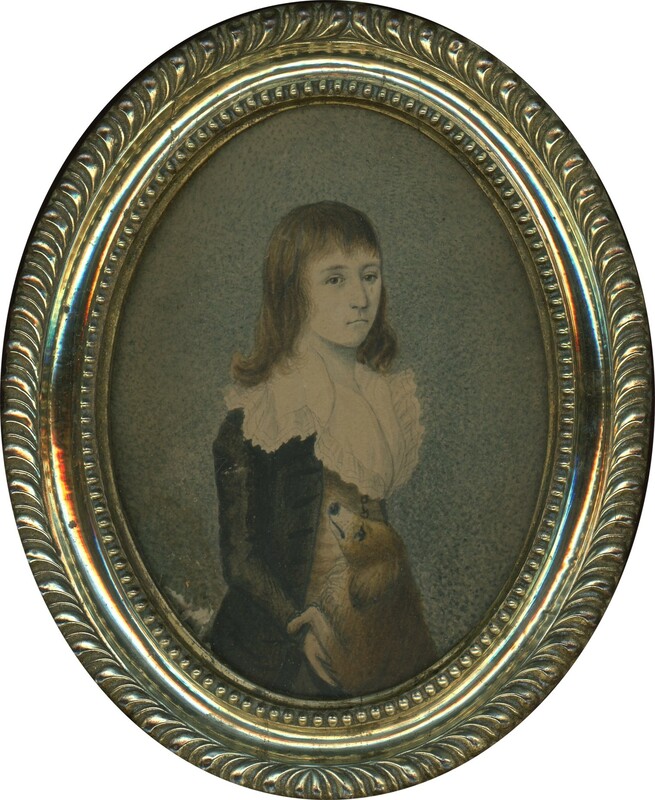 A charming pair of small late eighteenth century watercolour portraits depicting two young brothers, Henry and Samuel Hare. 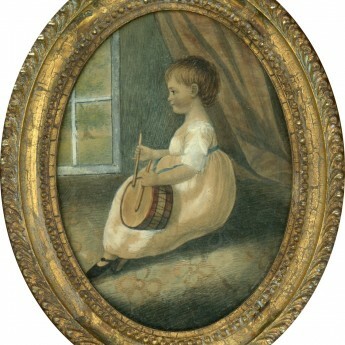 Henry was born in 1780 and so was nine years old when this was painted. 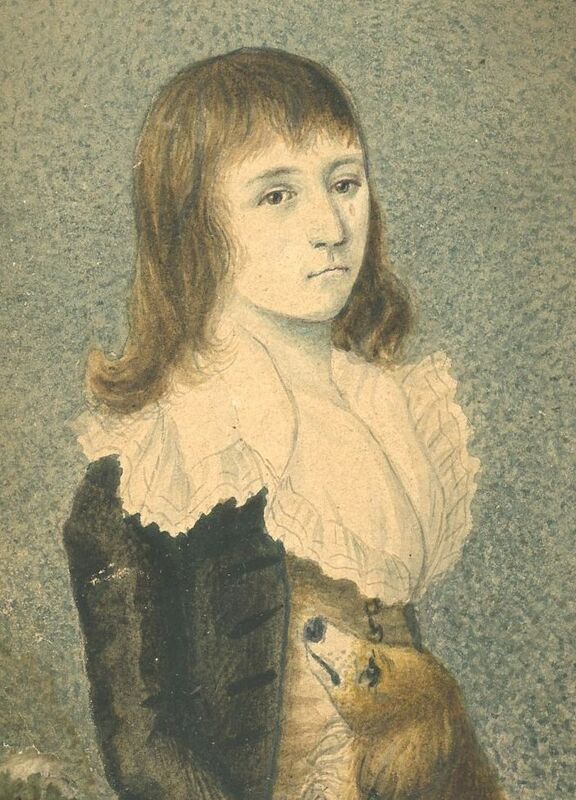 With fashionably long hair and dressed in a brown coat, buttoned waistcoat and a shirt with a wide frill-edged collar, Henry is holding his adoring pet dog. 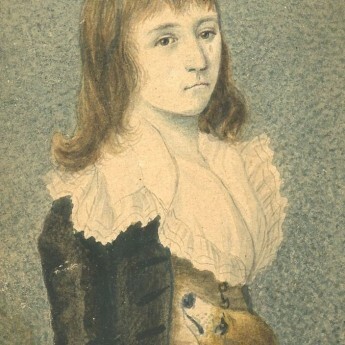 The younger boy, Samuel, was born in 1784. 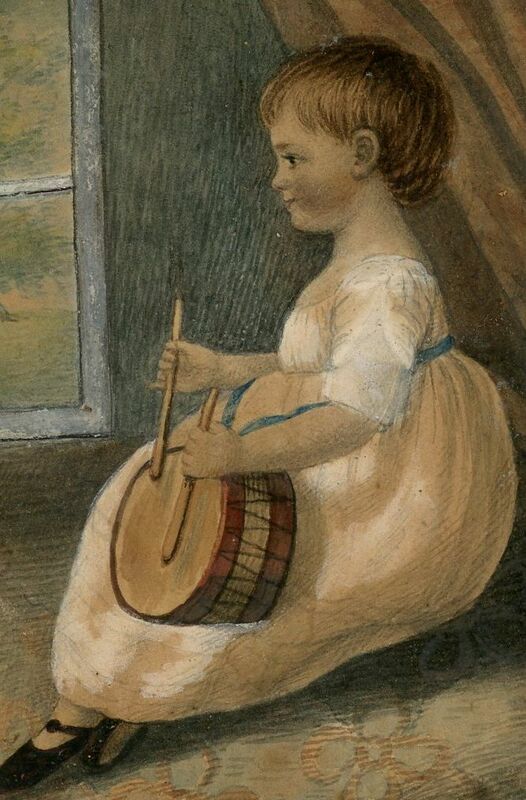 Not yet breached, he is wearing a white dress and little black shoes with ankle straps. 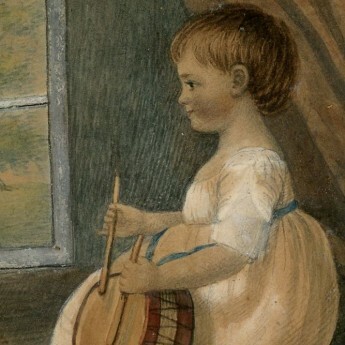 He is seated before a draped window and playing a toy drum. 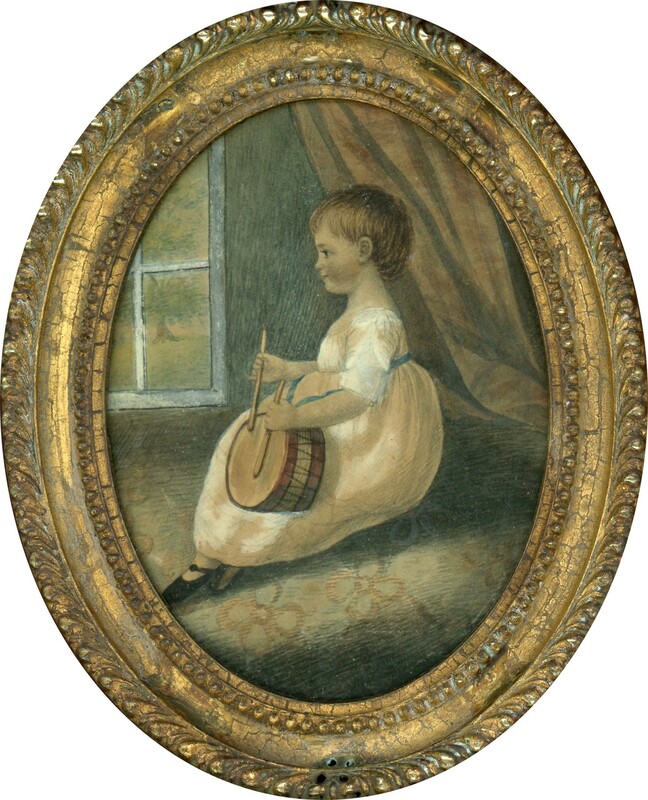 The watercolours are set in the original brass-faced oval frames with flat glass. 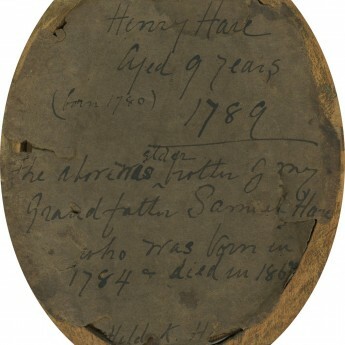 There is a period inscription on the reverse of one frame. 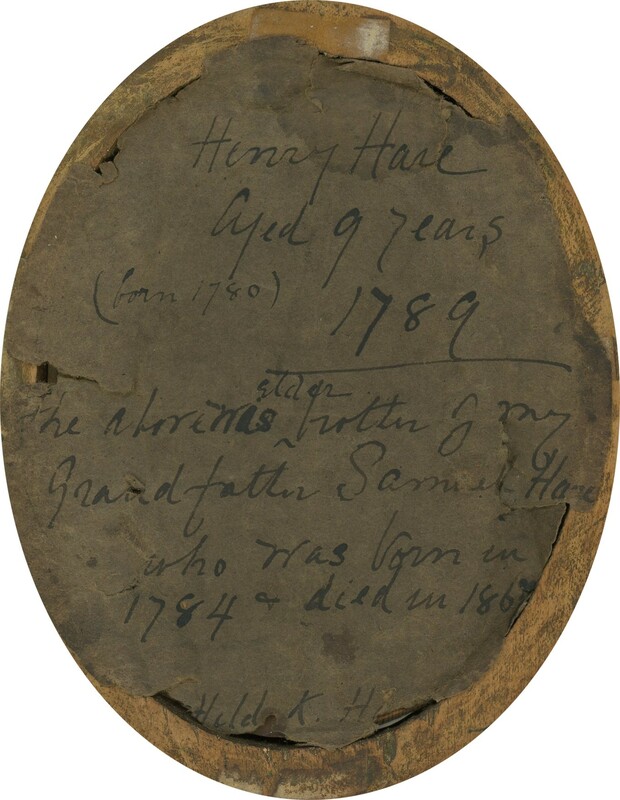 The portrait of Henry has a small area of damage (surface rubbing and a short closed tear) bottom left whilst the frame on the other portrait has been over-painted at some point giving it a dulled appearance with some craquelure.